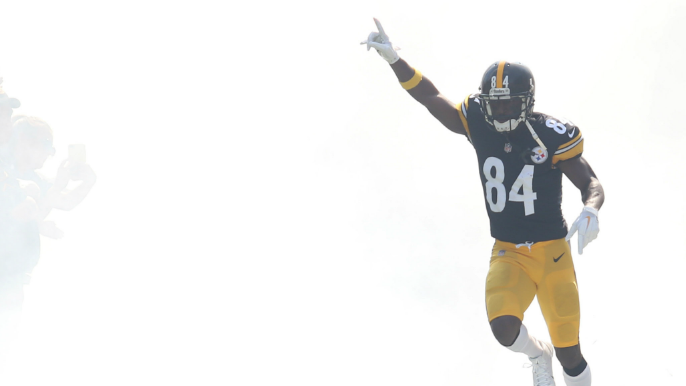 In what has been a wildly distracting offseason for all involved, it seems that Antonio Brown has put the final nail in his own coffin when it comes to his relationship with the Pittsburgh Steelers. The song in the background on the video is “Do What I Want” by Lil Uzi Vert, and that seems to be exactly what Brown is doing this offseason. Since the beginning of this offseason, Brown has been attempting to dictate the terms of his life both on and off the field for better or worse. The guilty decision for Brown — which resulted in a laughable $400 fine — comes on the heels of an alleged domestic dispute just last week, so while he may be considering himself free from the “shackles” of the Pittsburgh Steelers franchise, his aura has seemingly gotten more and more toxic as this offseason goes on. So whether this video from Brown is a message to Pittsburgh to send him away, or a way of telling the rest of the league that he’s been released, it’s up to every other NFL front office to decide if taking a chance on the supremely talented and increasingly reckless star is worth it. It has been a secret to no one that Brown has shown an interest in playing for the 49ers next season, and while the team may have cooled on him due to his recent conduct, bringing on the All-Pro receiver has never felt as tangible as it does now for the John Lynch brain-trust.